Due to the high program demand, the 2014 Long Island residential energy efficiency rebate levels are being reduced starting January 1, 2014. Adjusting the rebate amounts will help to ensure adequate funding for the future. The 2014 New York City residential energy efficiency program rebates will not be changed. Residential Rebate Levels – The chart below shows the 2014 rebate levels for Long Island and NYC. For the 2013 energy efficiency rebates, the equipment must be installed by 12/31/13 and rebate applications with required invoices must also be postmarked by 12/31/13. 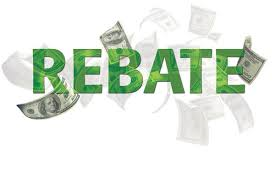 All rebate applications postmarked on or after January 1, 2014 will be process under the new 2014 rebate amounts based upon the installation region – NYC or Long Island. For any questions, email is the best way to reach us.